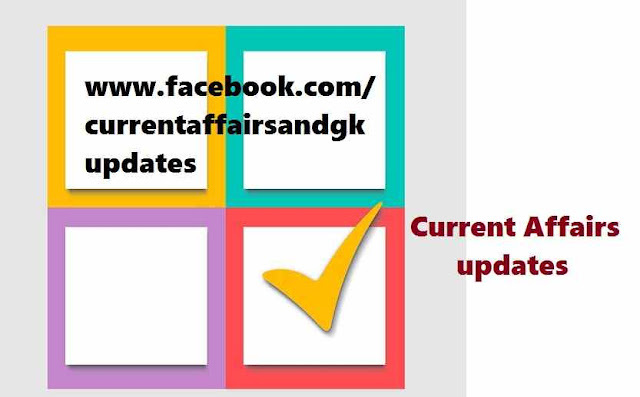 level Recruitment tests) tests, there is a section called General Awareness section.This section consists of questions on G.K.(General Knowledge) and Current Affairs updates.Updates till 12 August are given below.Updates on 10 August,11 August and 12 August are covered. 1.Krishna Teja of Andhra Pradesh state won the Gold medal in the under-18 (classical) segment in the Asian Youth Chess Championship that concluded at Suwon (South Korea).He also bagged the coveted International Master title. 2.Pullela Gopichand's daughter Gayatri and her partner Vaishnavi Reddy Jakka won Under-17 girls double title in All India Junior Badminton Tournament held at Dehradun. 3.Sunder Pichai is appointed as new CEO of Internet Giant Google.Sunder Pichai is from Tamilnadu (India). 4.Alphabet is the new holding company of Google. Share holders will get one Alphabet share for every Google share they previously own. 5.Supreme court of India ruled that Aadhaar card is not mandatory for availing benefits under the government's social welfare schemes. 6.The Karnataka High court was critical of Indian cricket Captain Mahendra Singh Dhoni in a case filed against him for allegedly denigrating a Hindu God in an ad commercial. 7.Yuan,the Chinese Currency suffered it's biggest one day decline in more than two decades hitting a three year low after the Chinese central Bank surprised markets by devaluating it's currency by almost 2 percent. 8.Indian Oil Corporation (IOC) launched the sale of B5 bio diesel at five fuel stations in Vijayawada. Bio diesel is a blend of conventional diesel and non-edible vegetable oil fuel extracted from Jatropha and Pongamia seeds. 9.Environmentalist K Purushotham Reddy would be presented Capital Foundation Justice Kuldip Singh National Award.He served as a director of Centre for Environmental Studies (Osmania University).